The Inflight Institute is superior to any other preparatory institute, as our member airlines use the Inflight Institute to train their own crews and hire new ones! No other institute can say that! We work closely with our airline partners to ensure you are getting real-world relevant training. Why do member airlines use the Inflight Institute? Select an airline below to see what courses are recommended and/or required by that airline. These other airlines and organizations have put their trust in Inflight. They LOVE to recruit people who have proven they can pass ground school. They only want to hire people who are truly serious about becoming a Cabin Crew Member. They invest a lot of money in recruiting and training and they want their selected students to succeed. They want to consider students who have understanding, passion and an in-depth knowledge of the career. They find this through students of the Inflight Institute. Airlines can reduce ground school training time by up to 80%! Inflight Institute students have gained so much knowledge they know YOU will be prepared. Think About It: If you were the CEO of an airline and knew you would have improved student success rates, shorter class times and significant cost savings… wouldn’t you use the Inflight Institute too? Finding pre-qualified students thought the Inflight Institute database is quick and easy. 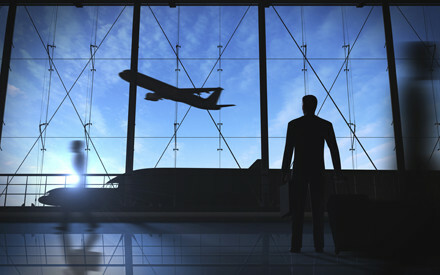 This reduces recruiting time and helps to ensure the airlines operation runs smoothly.